Barnsley College student Adam Hague is setting his sights high by aiming to represent Great Britain at the next Commonwealth and Olympic games. 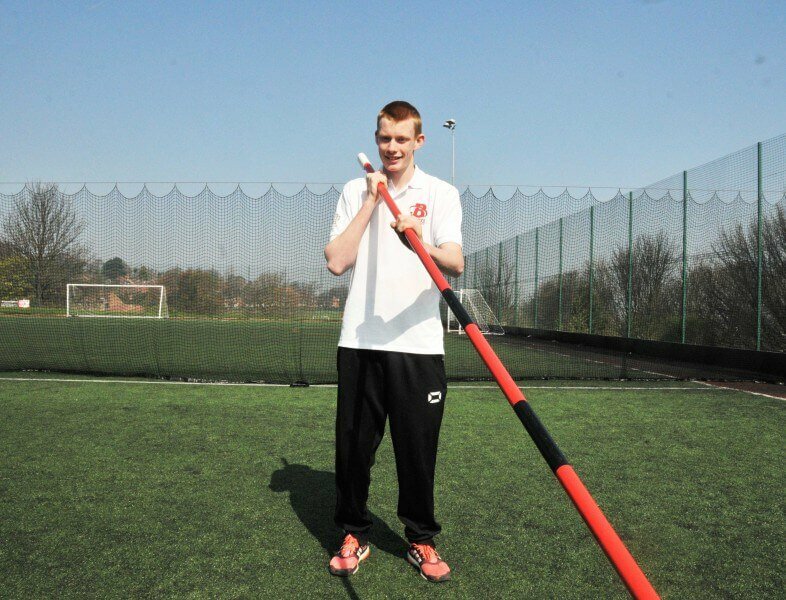 The 17-year-old is currently ranked as the top junior pole vaulter in the world, is third in the Great Britain senior rankings and recently set a new British junior pole vault record with a new personal best of 5 metres, 60 centimetres in Texas. Adam of Kimberworth, Rotherham, is also hoping to qualify for the World Championships which will take place in Beijing in August. The former Wingfield School pupil is studying the Level 3 Extended Diploma in Sport (Performance and Excellence) – Athlete Development Programme and has also accessed the Elite Sports Bursary through the college, which is designed to support young athletes with their sporting performance and studies. Adam said: “It has been fantastic to go to different countries and compete, travelling and being involved in a sport are two of the best things you can do as a young person. The support I have had at college has been great. I am part of the college’s Sports Academy and the coaches have helped me by linking training to my competitions. Adam is hoping to study at Sheffield Hallam University after completing his college course.